John Armstrong is the founder and Owner of JCA Associates and is responsible for the day to day running of the business. John left school at 16 to pursue a career in construction but after 4 years decided to follow his passion for sales and business development beginning with a field sales role for British Gas and from there made the transition into recruitment in early 2000. 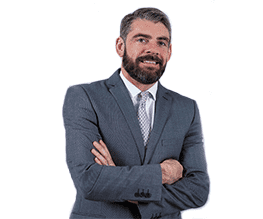 Having gained valuable experience working for 2 well known London recruitment companies, John joined Greythorn in 2001 and spent the next 10 years building their contract and permanent Telecommunications divisions from scratch which included establishing a new office for them in Dubai in 2007. Following the economic downturn of 2008-2010 John made the decision to create and build his own sustainable Technology recruitment business, JCA Associates in April 2011, headquartered in Dubai in JLT. In 2013 John launched the South African operation establishing the Johannesburg office in 2014. As well as overseeing both offices, John remains in a very hands-on role and still works closely with a number of key clients on Senior Technology appointments. Outside of work, John focuses on spending quality time with his family and keeping fit; and when he has time he also enjoys DJ’ing and promoting dance music events in Dubai. He is also an extremely poor golfer and thoroughly enjoys entertaining clients and colleagues by letting them watch him play!